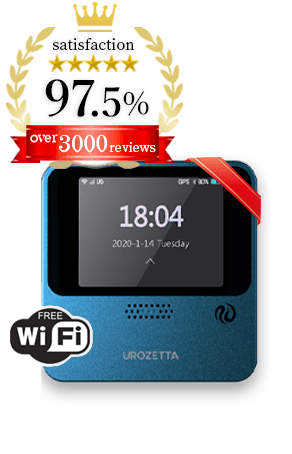 Unlimited Japan Pocket WiFi Rentals from SakuraMobile offers you a personal WiFi hotspot during your stay in Japan. Works with any WiFi device including iPhone, Androids, Blackberry. Everything is available in English or your language. Of course technical support is provided in English too. You can pick it up at Airports. We also deliver it to your hotel to pick up upon check-in. Enjoy real 4G LTE speed from the Japan's most advanced network. Most chosen network for pocket wifi products. We accept credit card issued outside of Japan. Paypal is also accepted. 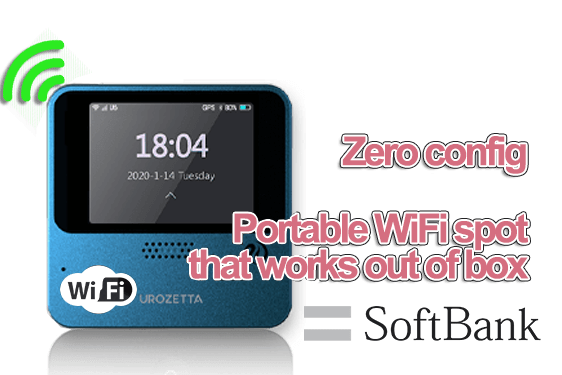 Our Pocket WiFi operates under Softbank network, Japan's most chosen network for pocket WiFi products. Softbank has been implementing featuares for pocket wifi. Stay connected throughout your trip with Sakura Mobile. Unlike sim cards, Our WiFi doesn't require you to configure your phone. All you need is to connect WiFi like you do all the time. Our WiFi comes with unlimited data access. You will not get disconnected suddenly like other prepaid SIM cards. All of our plans come with Softbank 4G/LTE, Japan's biggest network. Enjoy swiftness of Japan's biggest network. Sofbank is one of the major networks in Japan. Stay covered in your favorite destinations. It's small (H:74mm W:74mm D:17mm) with 20 hours battery life. It fits in your pocket without compromising battery life. 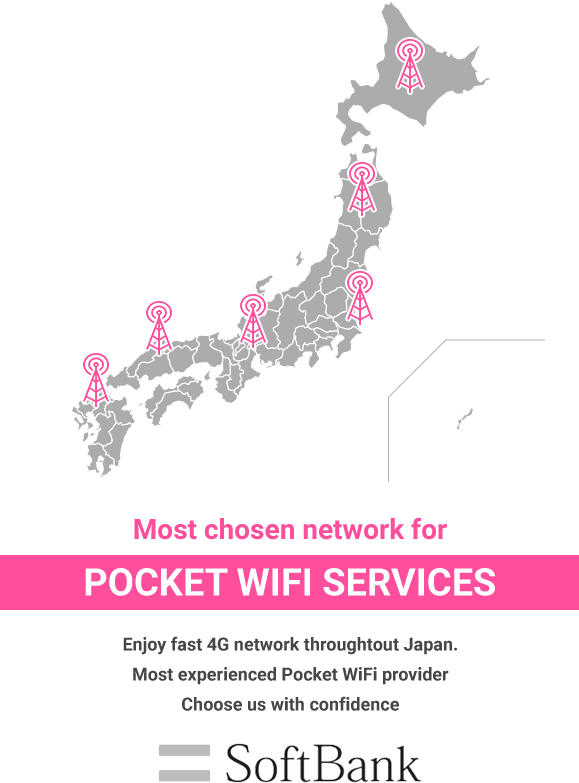 Our Pocket WiFi operates under Softbank network, Japan's most chosen network for pocket WiFi products. Softbank has been implementing featuares for pocket wifi. Fast and worry free internet throughout your destinations. Using pocket Wifi is easy. You can connect internet through Wifi, so you don't have to install profiles or edit settings on your phone. 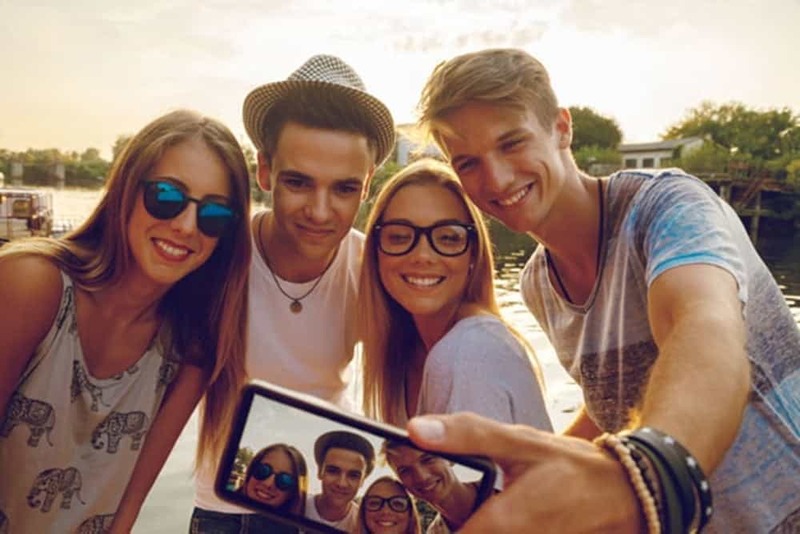 Our WiFi works with any WiFi enabled devices such as iPhone, iPad, Androids, windows phones, and Laptops.Also, you can connect multiple devices over an WiFi spot, so you do not have to buy sim card for each devices. some numbers to start with. is a quick summary of what we are putting effort in. Your travel is priceless. Choose the right partner that you can rely on during the trip. Phone & webchat support are provided. You can reach us by any means possible. Battery life of WiFi is crucial. is delivered by every means possible. a few hours in the emergency cases. 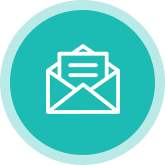 Email support Email support in night time is available. We won't let you fight with the WiFi manual before going to the bed. 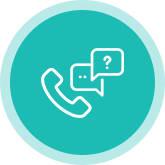 Phone & Chat support Phone & webchat support are provided. We regularly check our WiFi's battery. If it gets weak, we refresh it. Internet access from day 1 is critical. We check our shipments and its delivery status. If necesarry, we make arrangements so that yours is delivered by every means possible. Even with the extensive care, there is an unfortunate case. Our shipping line is well trained. Your replacement will be shipped within a few hours in the emergency cases. LTE allowance (Fair Usage Policy / FUP) sets your maximum high speed data transfer in a certain period of time. 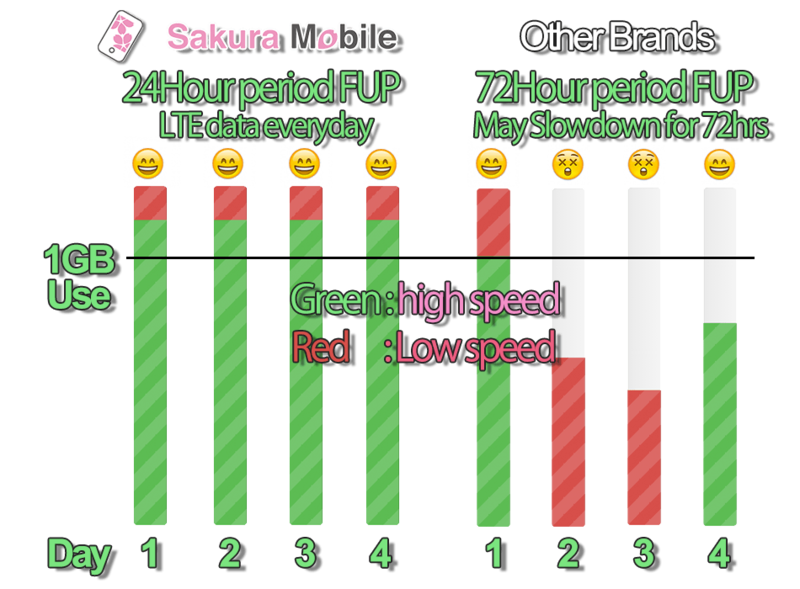 Typical periods are 24hours (Ours & some docomo brands) and 72 hours (Other brands). If you go over the quota, your internet speed will be reduced until total transfer amount of the given period gets below the quota. Time period matters because you can use LTE data everyday with 24hr period FUP while you can be impacted up to 72hours with 72hr period FUP. LTE allowance (Fair Usage Policy / FUP) sets your maximum high speed data transfer in a certain period of time. If you have gone over the quota, your internet speed will be reduced. Our quota is daily basis, so you can have high speed internet everyday. If you do not use all of the daily allowance, unused data allowance will be credited towards your rest of the rental period. 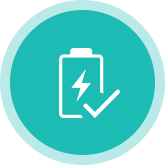 This feature provides extra stability even if your daily data consumption differs day-to-day. Place order at least 3 days prior to your pick up date. Please book earlier as possible so that we can keep your item available. You can change shipping address / date anytime. We ship according to your pick up date. Your item will be delivered a night before your pick up place. 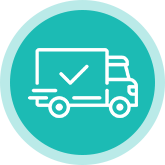 On a regular schedule, we ship 3 days prior to your start date. Pick up at your desired place. You can pick it up at various places in Japan including Airports / hotels / local post offices / residential addresses. To return, simply drop the package into post boxes. You can use a return envelope in the package. Please drop it before midnight of your return date. We ship according to your pick up date. Your item will arrive at least a night before your pick up date. 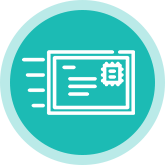 Once we ship your item, we will email your tracking code and a link to check your parcel status. Here is a list of airport pick up place (airport post offices). 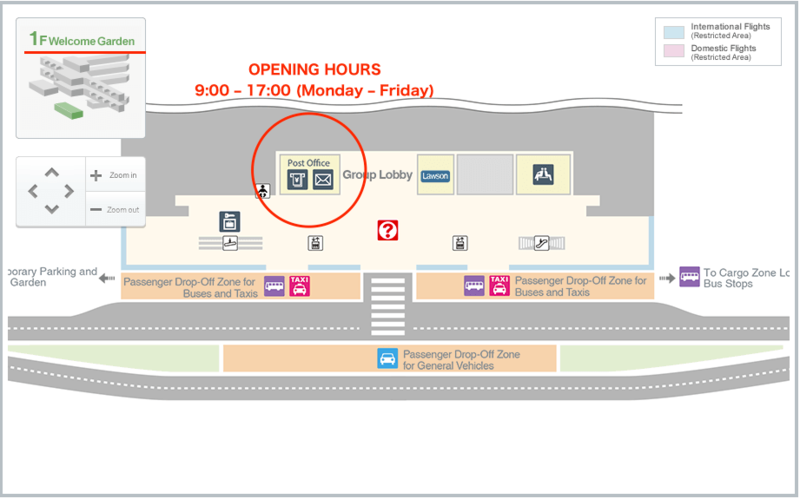 If you arrive after its business hours, please use hotel pick up insted. Every day T2, 1st Fl. 1. Put everything into supplied return envelope. 2. Put it into any mailboxes in Japan. 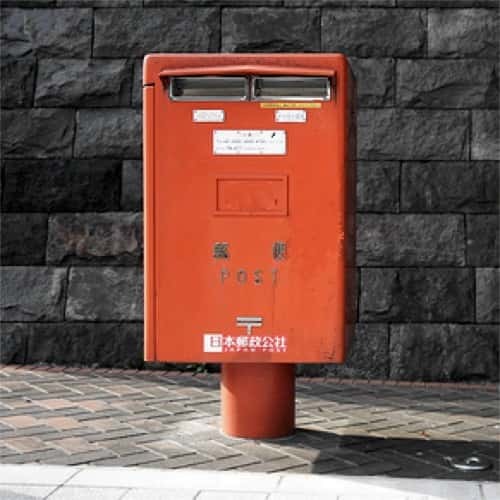 Mailboxes are available at airports, at lawson convenience stores, and at postoffices. To return device from airports, please use airport postoffices listed in the next section. You need to take keikyu train or monorails to go to domestic terminal. card seller. So, our goal is to provide reliable internet during your trip. Let us work in our field, and enjoy your time in Japan. You may stop by our Shinjuku office and pick it up today. Pre-Order is requested before visiting our office. Office hours : Mon-Fri 10:00 - 18:00 Please stop by during office hours. It's about 10min walk from Shinjuku Station West Exit.